Made of rowan wood, jewelry resin and glass. 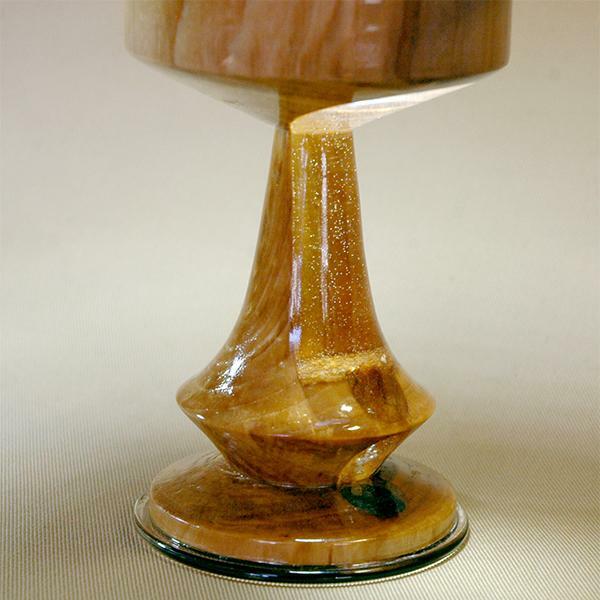 A handmade dessert vase. The wooden base with insertions of semi-transparent jewelry resin makes the vase look especially classy. Can be used as a candy vase. A great table decoration and an original gift.